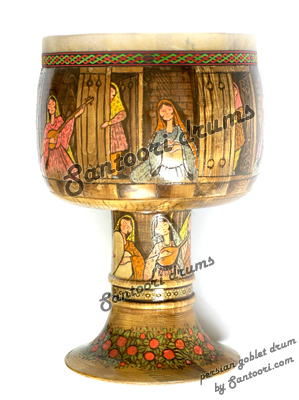 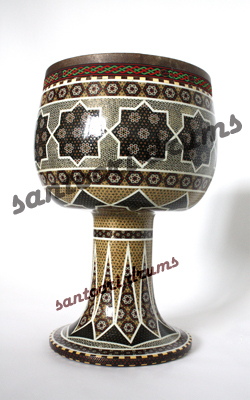 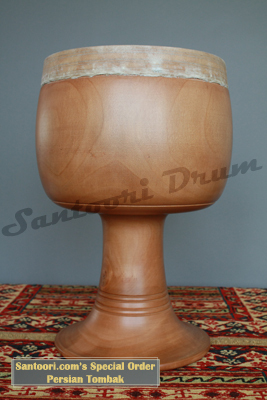 Persian Tombak or zarb with different transcription and transliteration forms like tonbak, dombak, doumbek, is the goblet drum of Iran. 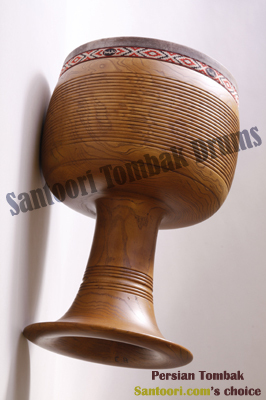 It is commonly known as zarb. 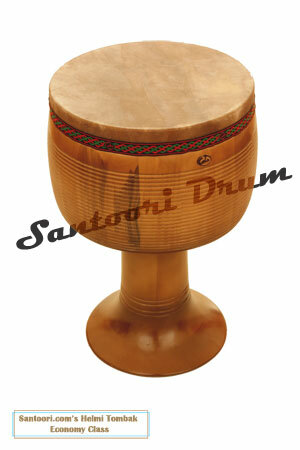 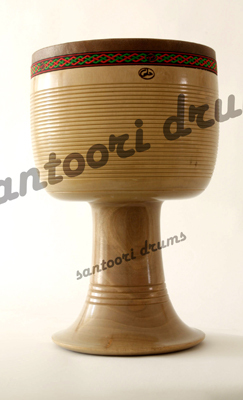 It is used in entertainment music, in some folk traditions and in art music. 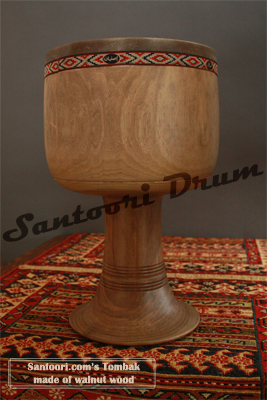 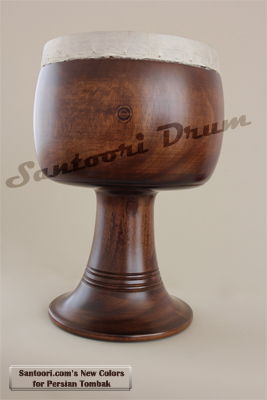 The drum is made from a single block of Walnut or mulberry wood, turned and hollowed out (see Illustration). 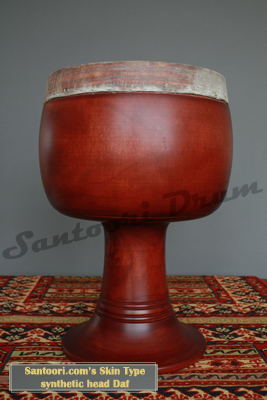 It is 40 to 45 cm in height and 20 to 30 cm in diameter. 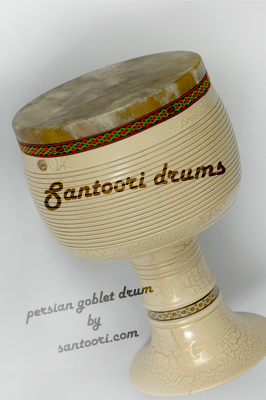 It was used originally as an accompanying instrument, but its technique was considerably developed by the virtuoso Hossein Tehrani (1911-76), who extended the range of beating methods and sonorities and exploited its potential as a solo instrument. 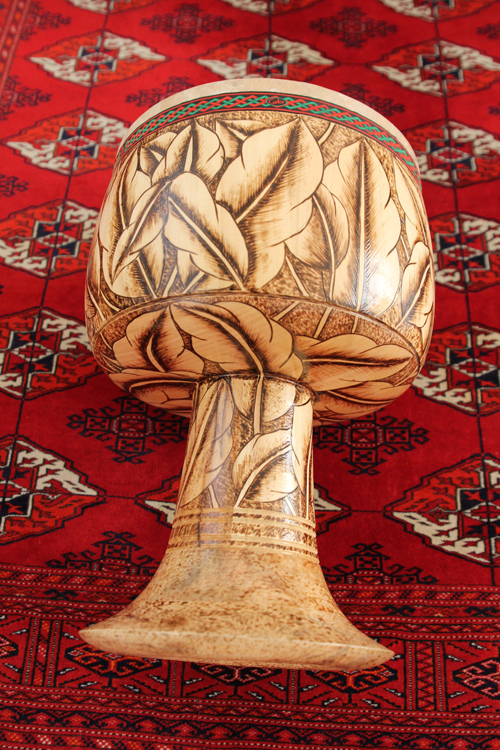 Iranian gymnasiums (Zurkhane) use an earthenware tombak, about 70 cm in diameter, to provide a rhythmic background for exercises. 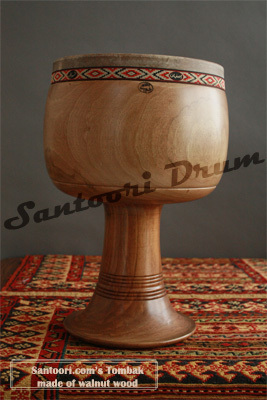 Its powerful tone and beating technique distinguish it from its classical counterpart.